* we have had a tradition for a long time to get pizza & watch a movie or show together (Lately, its been watching Arrow... awesome show)... so we get our pizza & I take a bite & think, that doesnt taste right. Ricky ate a bit & then said, something tastes funny. I thought it was me. Something was awful on the pizza. I was so nauseated the rest of the night too. That was a shame. 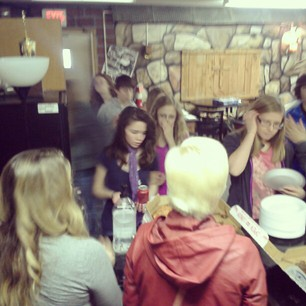 We ended up throwing away 2 big pizzas... & its turned my stomach even at the thought of pizza. Papa John's - you just lost our Friday business for awhile. * Easy morning... but got my run in early. At first I was grumbling about it, but then I was so glad that it was early & I got my miles in for the day. * Watched Jack Hanna while I was running on my treadmill & learned all about crocodiles. Did you know in Africa, they are becoming endangered because witch doctors kill them for internal organs for their medicines they make? Ewwwwww!!!! * Best after run snack now? 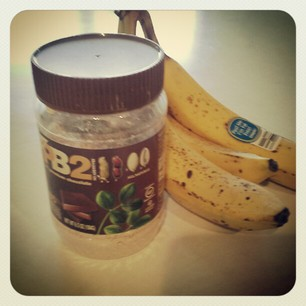 PB2 Chocolate with banana... so good with protein & the benefits of potassium of the banana... & low in calories! I am a big convert to this PB2 stuff! * Headed off to meet a client to deliver pictures. I got to order a canvas with a collage on it for a Senior Picture session. I was in love with it. Glad to see the client happy too. * We met at a coffee shop so I had to of course order a drink... it was the WORST iced mocha I've ever had. What is the deal with me & bad tasting stuff this weekend? * Met up with some friends to see... Les Miserables... AGAIN!!!!! :) When we went before, all the husbands went to see another movie, leaving all the ladies to go see it. This time, the guys went to see it. It was JUST as good as before. Chasity & I both actually cried HARDER this time around. I didnt think that was possible. Ricky stayed awake the whole time! Success! He even said he really liked the story - that it just got a little 'too much in the singing department' about half way through. I can understand that. We figured out why they put intermissions in plays though. Makes sense. * How do I spend 6 hours with friends & not take any pictures of the night? * made it to youth group... it was MAC (Merge After Church).... it's just a time to hang out for an hour after church & eat pizza & play games & hang. It went by so fast. But those kids are awesome! Up for anything & ready to have a good time. * Since I was nauseated at the thought of pizza, Ricky & I went out afterwards for lunch. We ended up at a sports-place & the IU game was on. WOW... people really get into their basketball around here. It was funny to just sit & hear all the hootin' & hollering! * Had to get my weekend Target run in.... is it on anyone else's schedule to always go to Target once a week? * Stopped at Feeders Supply for more dog stuff. We have actually incorporated Vegetarian/Vegan food into the dog's diet...I have to say, both Buffy & Bruno (the heaviest dogs) have slimmed down & looking fantastic! We've even been giving them holistic treats that are full of vitamins & good stuff. They love them. & poor Bruno has had some rash on his belly (which we think is from the dog food they used to eat) & he keeps rubbing it making his skin just a mess. I got some All Natural spray & it seemed to give him instant relief. & this morning? The skin looks 100% better - in just one spray of it!!!! 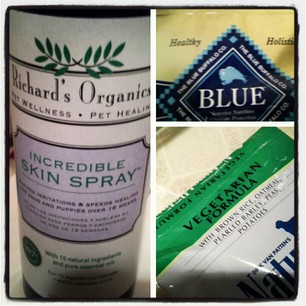 The more natural/holistic stuff I use, for me & Ricky & now my dogs - I love! 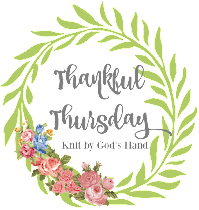 Hope this week is full of fast work days, slow evenings & health & happiness! Busy weekend! Sorry about the bad pizza.....one bad thing can spoil the taste for that for a long time! Wow chicken isn't a meat? Wonder where that guy went to school. I have yet to see Les Mis. I need to get to it before I have to watch it on dvd! Is there a way to find your music on iTunes? I know on the iPad I can find all of the apps I purchased, even after I delete them from the device. Sounds like a good week, other than the pizza part. And I hope your last sentence (Hope this week is full of fast work days, slow evenings & health & happiness!) happens for you and for me too. "I'm ate up"...totally cracked me up! Love it! Oh, I could listen to "Les Miserables" all day, every day! I have GOT to see that movie! I have never heard of PB2 Chocolate, but anything having to do with chocolate, I'm IN! I need to check out that PB2 - although I started Weight Watchers again so I need to make sure I won't eat half the jar in one sitting. And the chicken then? That is just SAD. And funny. But mostly sad!